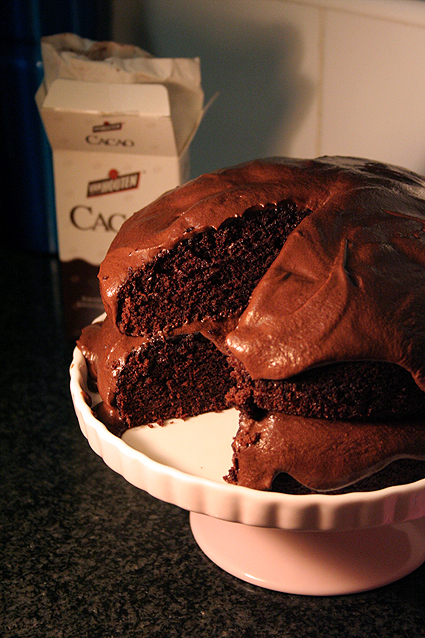 The greatest chocolate cake ever is what hubby is calling this. I wouldn’t go that far, but it is pretty darn good. I used Dutch-process cocoa. I found the recipe on Kitchenbelle but made it without the raspberry topping. Thanks Katie! I’ll be sure to check out your blog. I made this and it was delish!! Thanks for sharing! So glad you liked it Sheryl!